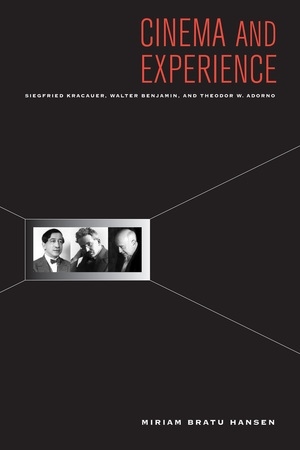 Siegfried Kracauer, Walter Benjamin, and Theodor W. Adorno—affiliated through friendship, professional ties, and argument—developed an astute philosophical critique of modernity in which technological media played a key role. This book explores in depth their reflections on cinema and photography from the Weimar period up to the 1960s. Miriam Bratu Hansen brings to life an impressive archive of known and, in the case of Kracauer, less known materials and reveals surprising perspectives on canonic texts, including Benjamin’s artwork essay. Her lucid analysis extrapolates from these writings the contours of a theory of cinema and experience that speaks to questions being posed anew as moving image culture evolves in response to digital technology. In the 1998 film above, Flâneur III: Benjamin’s Shadow, Danish director Torben Skjodt Jensen and writer Urf Peter Hallberg collaborate on an impressionistic black-and-white meditation on Paris, overlaid with Hallberg’s ruminations and quotations from Benjamin. Benjamin’s fascination with nineteenth-century Paris drove his massive, unfinished Arcades Project, an excavation of the inner workings of modernity. Where One Way Street is marked by a very dated 90’s aesthetic (which may look chic now that the decade’s back in fashion), the above film is both classical and modernist, a testament to the beauties and contradictions of Paris. I think in this respect, it is a more fitting tribute to the critical and contradictory aesthetic theory of Walter Benjamin. 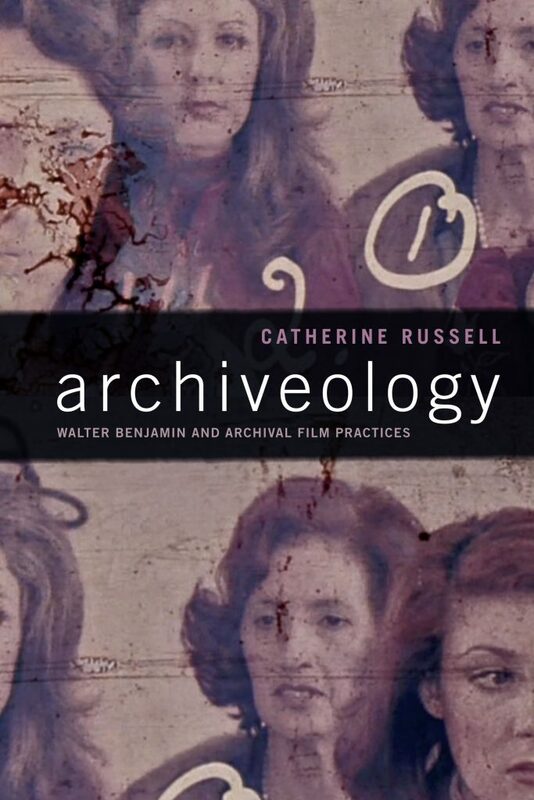 In Archiveology Catherine Russell uses the work of Walter Benjamin to explore how the practice of archiveology—the reuse, recycling, appropriation, and borrowing of archival sounds and images by filmmakers—provides ways to imagine the past and the future. Noting how the film archive does not function simply as a place where moving images are preserved, Russell examines a range of films alongside Benjamin’s conceptions of memory, document, excavation, and historiography. She shows how city films such as Nicole Védrès’s Paris 1900 (1947) and Thom Andersen’s Los Angeles Plays Itself (2003) reconstruct notions of urban life and uses Christian Marclay’s The Clock (2010) to draw parallels between critical cinephilia and Benjamin’s theory of the phantasmagoria. Russell also discusses practices of collecting in archiveological film and rereads films by Joseph Cornell and Rania Stephan to explore an archival practice that dislocates and relocates the female image in film. In so doing, she not only shows how Benjamin’s work is as relevant to film theory as ever; she shows how archiveology can awaken artists and audiences to critical forms of history and memory. Wie Brecht und Benjamin einen Krimi schreiben wollten. Svendborg, Dänemark, 1934. Bertolt Brecht und Walter Benjamin treffen sich im Exil. Sie sind begeisterte Krimileser und entwerfen kurzerhand gemeinsam einen Plot. 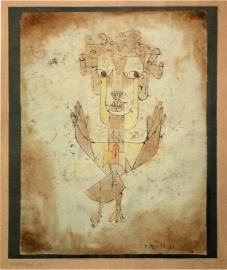 This is supposed to be a collection of stuff by and about WALTER BENJAMIN floating around online. Will add new stuff when i come across something of interest. If you‘ve anything (dates, annoucements of new publications, articles etc.) worth sharing please get in touch. There won‘t be any essays written by me on here. This is all about making some sweet things regarding WALTER BENJAMIN accessible. Please report dead links and i‘ll try to direct you to a new one.